What do you get when you combine an only-girl Vogue Italia cover, an incredulous Fall/Winter 2014 show tally of 56 pristine bookings, editorial gigs for Harper's Bazaar, V, Another Magazine, Interview, and British Vogue, and a Prada Spring/Summer 2014 campaign lensed by Steven Meisel? Voila! 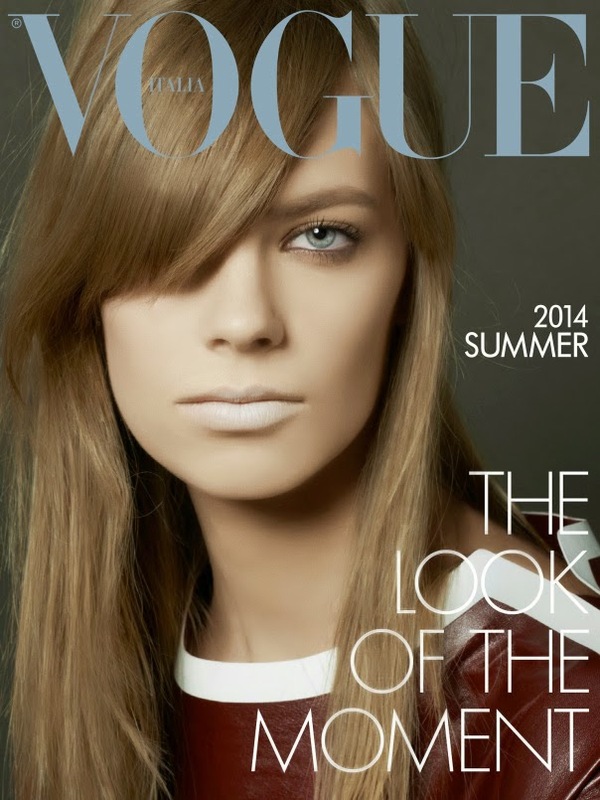 What you have is an unequivocal major modelling moment for American newcomer Lexi Boling. The statuesque Chicago Illinois native's somnambulant androgynous beauty provides the ultimate inspiration for Vogue Italia's May 2014 cover accompanied by the tagline "The Look of the Moment". Boling's lanky 180 cm silhouette is granted maximum exposure via the season's chicest swimwear paired with plastic rain jackets styled by Fashion Editor Karl Templer. Hairstylist Guido Palau and make-up maestro Pat McGrath highlight Boling's stunning nonchalant beauty courtesy of frosted lips, perfectly sculpted eye brows, and side-swept peek-a-book hair. The twenty-year old blue-eyed blonde was discovered when she attended an open call at Ford Models and has been modelling full-time since 2013. Debuting as an exclusive at Alexander Wang's Spring/Summer 2013 show, Boling's totally rad tomboyish allure combined with an undeniable beauty is the very embodiment of the beauty aesthetic most prescient in the minds of casting directors, designers, and fashion editors for the moment.